Doesn't look similar in lighting or the the level of aesthetics we've seen in the trailer. I've started to think that the drought has clouded people's ability to judge. To me, it looks something made in an Assassin's Creed engine. Modders were making a RDR mod for GTAV but it got shutdown by Rockstar. Maybe they have nothing better to do with the work they've done so thought they could play us. Doesn't look similar in lighting or the the level of aesthetics we've see in the trailer. I've started to think that the drought has clouded people's ability to judge. To me, it looks something made in an Assassin's Creed engine. 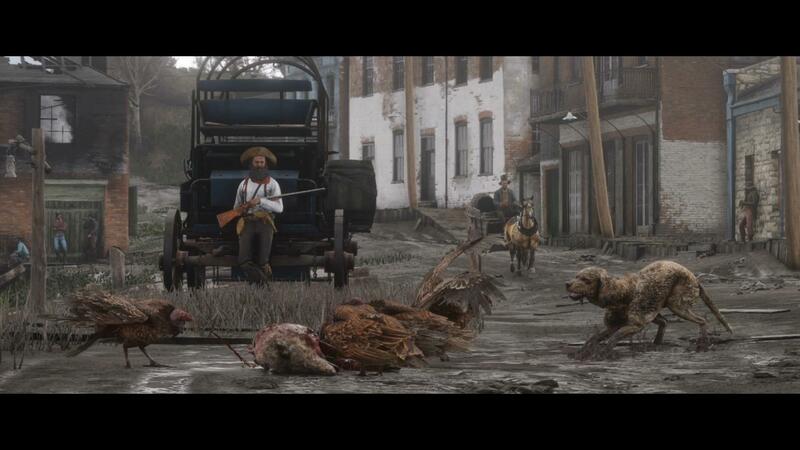 Yea this almost definitely isn't the RDR map conversion seeing as this isn't RDR1's map. But where is this guy's shadow. ....right below him? lol its crimpled in the dirt. I'm guessing it's an alpha build, the details look very poor for R* standards, especially the grass. 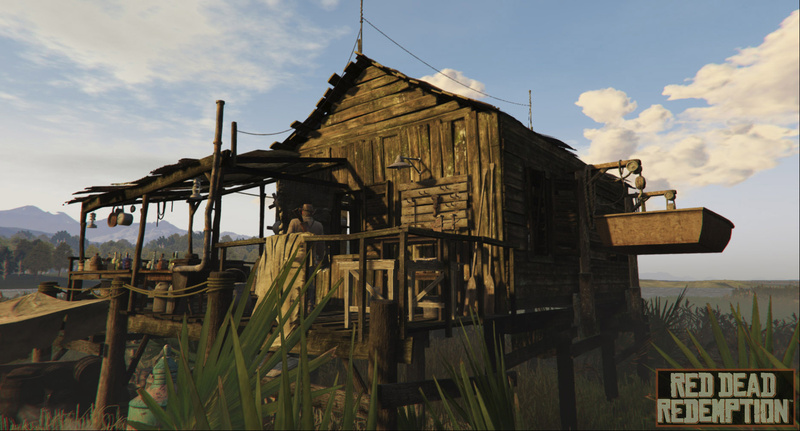 Looks worse than V.
Could it be a screenshot from the RDR gta v mod which got canned by T2? Rockstar leaked it legit but anonymously. RAGE IS KING!! https://i.imgur.com/3h9m7Vn.jpg actually grass not much different. In trailer its just higher resolution for me. 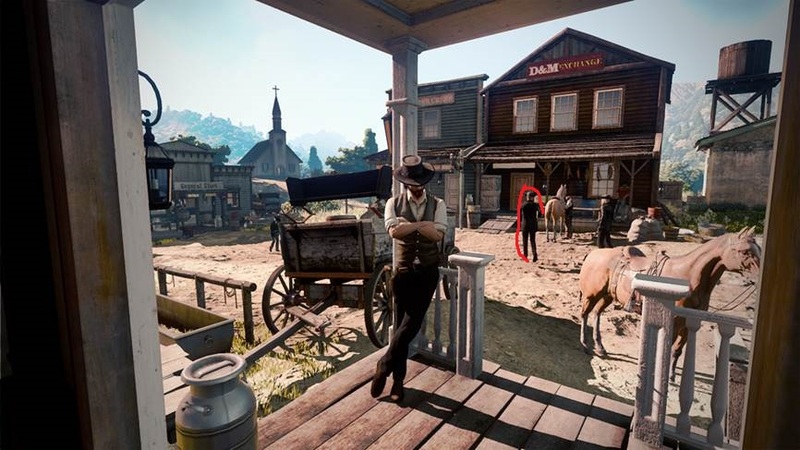 Notice the general store to the left looks a little similar to the one in the trailer. Yeah the sign follows the same color scheme. Different font though. you can also faintly make out that weird 8 pack thing on the chest of the horses during the trailer. I think this looks pretty legit. Like i said, this could be an controlled leak to see the community feedback. if that were the case, why would OP post it in the rdr section of the forums? I still say he's not leaning on anything, though. Look at where he's standing and look how far away it is from the railing, if was touching it he'd be leaning waaay further back and not leaning as if he's up against flat wall. Could be wrong, but something about it just looks off to me. Agreed. The shadows don't even seem to connect. Could be from a marketing kit to release soon.